The Military Sea Hawkers gather at the King Street Bar and Oven after the Military Appreciation Day Game. Photo by Brandan Schulze. Have a Seahawks tattoo you want to share? The Seahawks are back on the road this weekend against the Chicago Bears. Before you start muttering to yourself and questioning how the Seahawks could win this game if they can’t even beat the Dolphins, think about how much more they need this win now. Now they have motivation to win this game where they really didn’t need to have the last one. Of course one could argue why you’d need motivation to beat Miami–you should just do it. Regardless, I like the Hawks chances against the Bears. Chicago is actually one place they actually seem to play well on the road. With the exception of their recent 28-10 win over the Vikings, the Bears aren’t exactly blowing teams out on their home turf. After their bye week in Week 6, they beat the Lions (13-7), Panthers (23-22), and lost to the Texans (13-6). I hated it last week when everyone in the media was picking Seattle to win, which usually means things will go badly–and they did. So I’m much more comfortable and feeling better about this game against the Bears. On Sunday, I expect Seattle to improve to 2-5 on the road. I felt bad after last weekend that I didn’t even send out a single tweet, Facebook post or email about voting for the Seahawks to be on AFN. I really didn’t even think about it with everything that was going on with the loss and the reports on our corners potentially getting suspended. 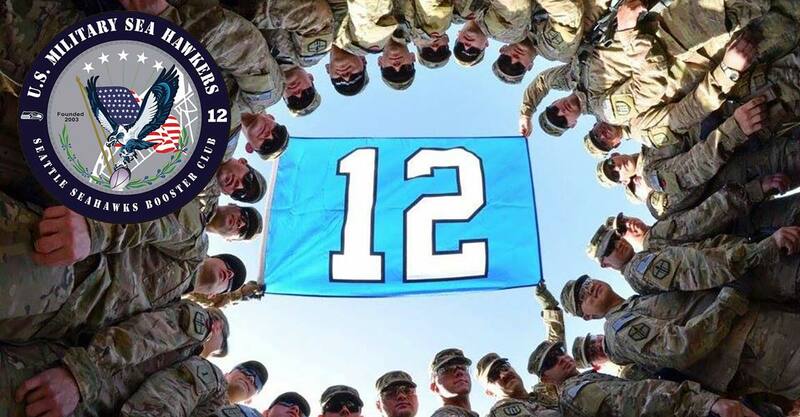 But in a week with a lot of bad news regarding the Seahawks, it is good news for the troops overseas! This week you can watch it on AFN Prime Atlantic at 1000 PST/1800 GMT/2230 Afghanistan. Sorry to the Sailors, the game wasn’t scheduled on Direct to Sailor. I’m starting to wonder who we need to talk to so we can get more than four channels at sea. Please continue to vote for the AFN Game of the Week on Facebook starting Sunday night through Wednesday, and I’ll try and do a better job of passing along reminders. This week, after Sunday’s game against the Miami Dolphins, Seahawks fans began hearing reports that Richard Sherman and Brandon Browner were facing suspension by the NFL for violating the policy on performance enhancing drugs. The first report brought up a lot of questions about exactly how this could have happened and what kind of drugs had been found in their systems. The first report to begin to answer those questions came from USA Today’s Mike Garafolo. The report says Sherman’s explanation was “he unknowingly ingested Adderall prescribed to a teammate,” and that “he accidentally drank from a bottle” that had a crushed pill. When I first heard this, I couldn’t help but think this might be one of the lamest excuses I’ve heard from an athlete suspected of using PEDs. The reports in the media on the USA Today article made it sound like the excuse had come straight from Sherman’s mouth. Wait, what? So it wasn’t even an “anonymous source close to Sherman” or an “anonymous teammate”? This was a person who was informed of the explanation, so he or she wasn’t even the person hearing it come directly from Sherman’s mouth. If someone who had heard the excuse second hand were to tell me, and I went and talked to Garafalo–I could be that source! Where exactly in the information chain did this person get informed? Obviously it’s a source that Garafolo was familiar enough with to where he felt the information was trustworthy enough to publish. So now I get to speculate. What it sounds like to me is a PR person with the Seahawks heard people talking about Sherman’s possible explanation and when Garafolo asked, “How do you suppose it got in his system?” the tainted water bottle excuse was one of a few that were listed and the reporter went with it. Or maybe the source is a person who is a friend with a guy that picks up towels in the locker room. So, to me, Sherman’s outright denial is much more plausible at this point. But just suppose the rumor is true. For one, I can’t think of an instance of where I’ve ever been thirsty enough to drink out of another man’s water bottle. But I’m willing to accept that it’s part of the culture of the sport. I suppose you could say the players are technically sharing water from the bottles that trainers run onto the field during timeouts. With rookie Winston Guy recently suspended for using PEDs, this is definitely a cause for concern. Unfortunately it’s unlikely we’ll hear an explanation on it any time soon. We know the Seahawks top corners will play on Sunday against the Bears, but after that we’ll have to wait and see if Marcus Trufant, Walter Thurmond, and Byron Maxwell will have to step up and finish off the regular season. Until then, I’m going to continue to hope that there is a really good explanation, and whatever the truth is – that it comes out.